What is MONSOON? The word monsoon is derived from the Arabic word mausim, which means season. Traders fishing the waters off the Arabian and Indian coasts noted that dry northeast winds in the winter suddenly turn southwest during the summer, and bring heavy rains to Asia. We now know that these Monsoon large wind shifts from dry desert areas to moist tropical areas occur in other parts of the world including Arizona. Strong yearly variations of temperature over land masses is a primary cause of MONSOON. The monsoon weather in Arizona is not as intense as Monsoon season in Asia and India mainly because the Mexican Pleateau is not as high or as large as the Tibetan Plateau in Asia. 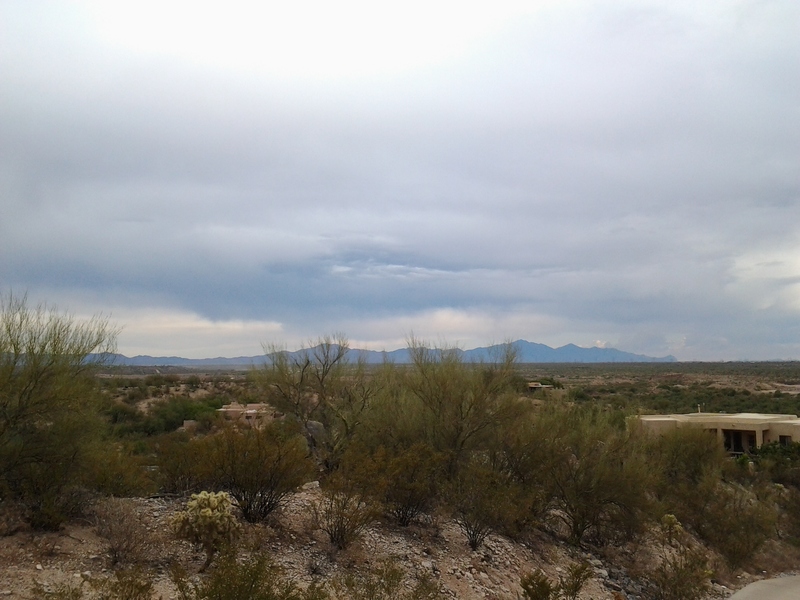 In Arizona, the monsoon process starts with the hot and dry weather of May and June. Most of Arizona’s humid air comes from the Sea of Cortez and the Gulf of Mexico. 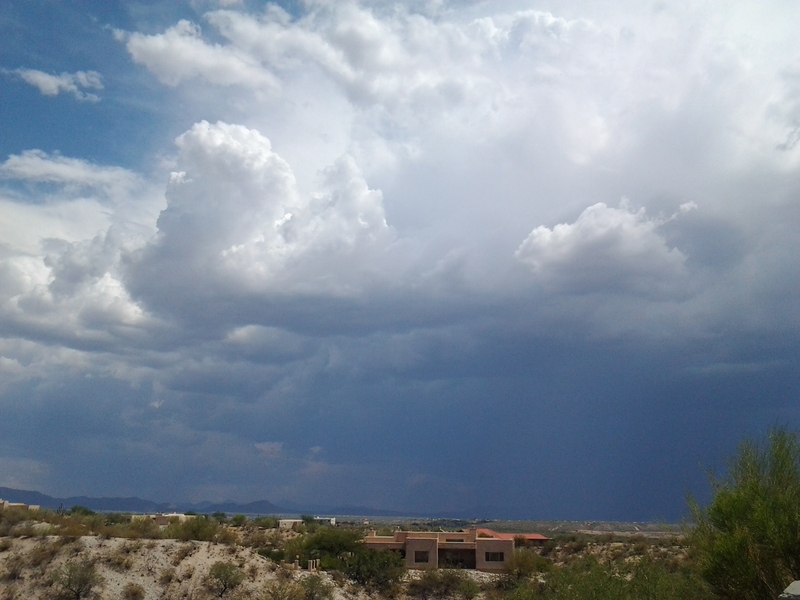 Our hot desert sun heats the moist air causing the familiar thunderstorm cumulonimbus clouds. Cumulus clouds are a type of cloud with noticeable vertical development and clearly defined edges. Cumulus means “heap” or “pile” in Latin. These clouds typically form when warm air rises and reaches a level of cool air, where the moisture in the air condenses. 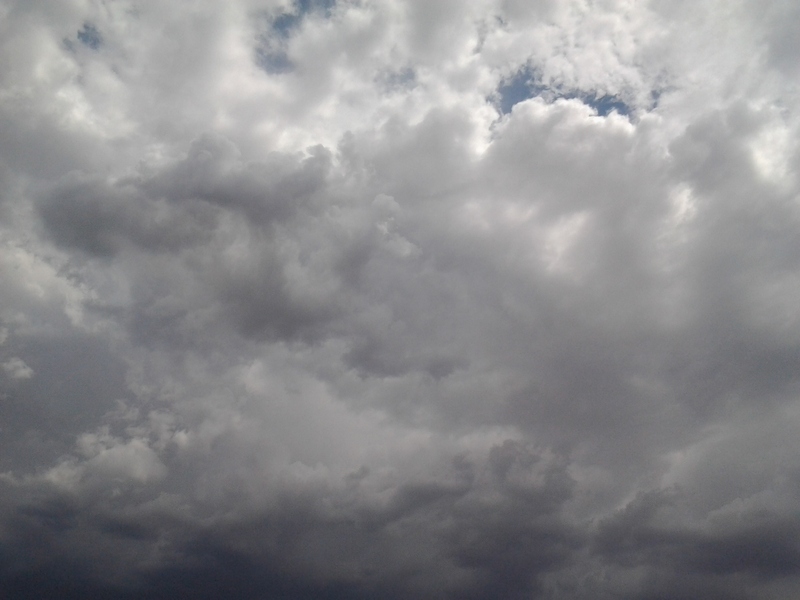 If the top of the cumulus cloud reaches above the altitude where the temperature is at or below the freezing level, then precipitation from the cloud is possible. Usually by May or June, our strong Arizona heat causes temperatures to soar over these desert land areas. The intense heat causes surface air pressure to fall, forming an area of low pressure known as a thermal low. Eventually, the cooler and much more humid air over the ocean is drawn toward the hot, dry air over land. This moist air moving onto the hot land eventually becomes unstable and develops into thunderstorms. Once this occurs and rain begins to fall, humidity levels increase over land, which only triggers more thunderstorms. 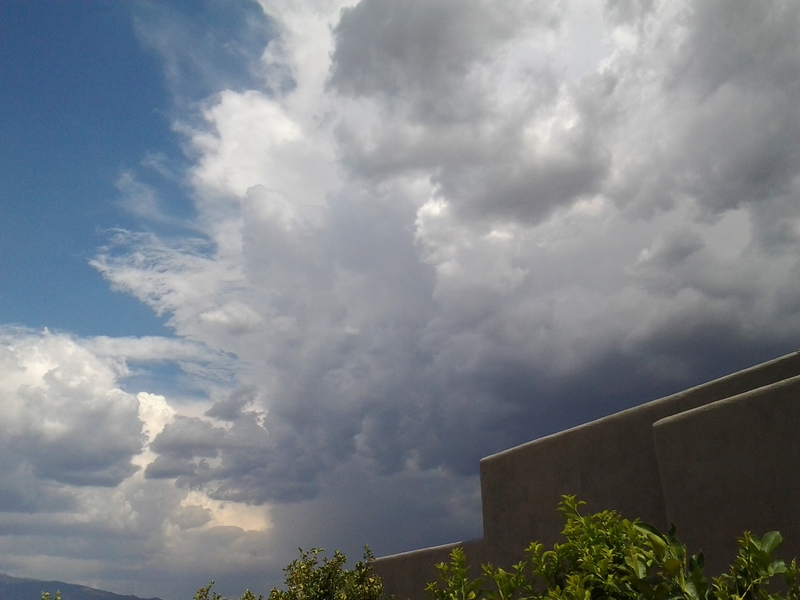 Now you have the Arizona Monsoon Season! This cycle will continue until land areas begin to cool in the early fall and the monsoon gradually ends. Until the late 1970s, there was serious debate about whether a monsoon truly existed in North America. However, considerable research, which culminated in the Southwest Arizona Monsoon Project (SWAMP) in 1990 and 1993, established the fact that a bonafide monsoon, characterized by large-scale wind and rainfall shifts in the summer, develops over much of Mexico and the intermountain region of the U.S.
Rainfall during the monsoon varies with distinct “burst” periods of heavy rain and “break” periods with little or no rain. Monsoon precipitation accounts for a substantial portion of annual precipitation in northwest Mexico and the Southwest U.S.